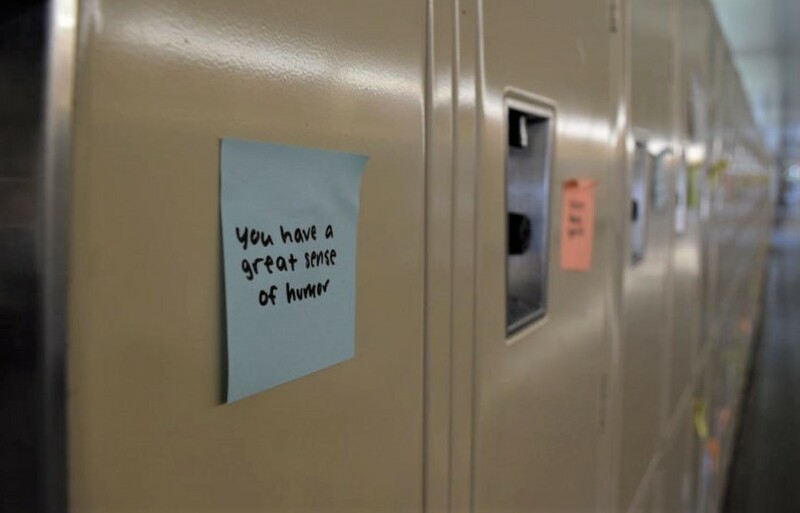 Sticky notes with kind messages are posted on every locker. 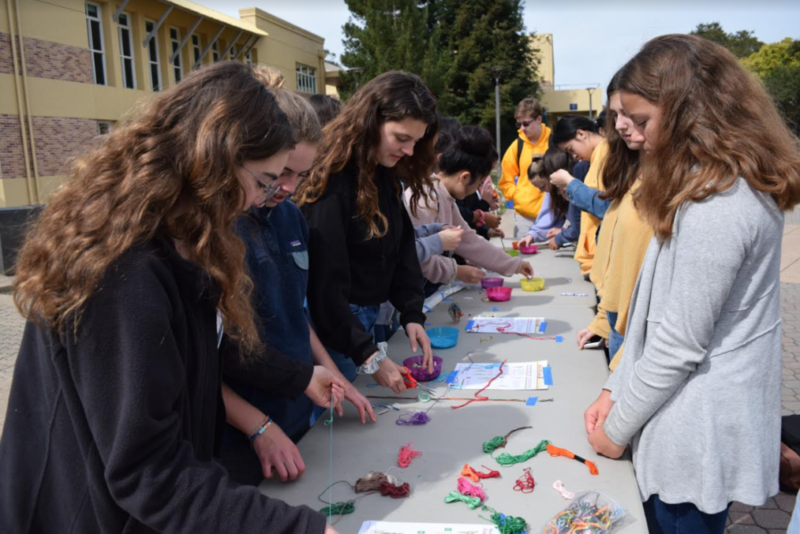 Students gathered in the quad to make bracelets for Kindness Week, a week-long event filled with small activities to promote goodwill and spread positivity. 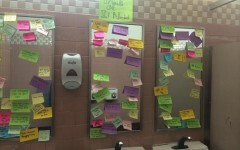 To kick off the week, colorful notes with kind messages flooded locker halls. 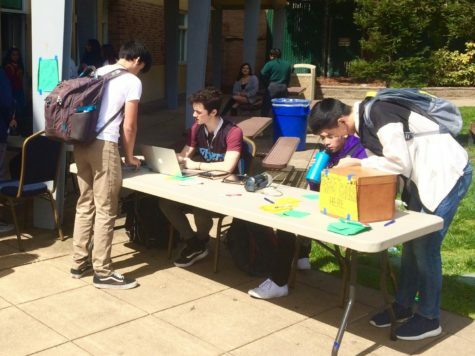 On Tuesday and Wednesday, students huddled around a bracelet booth and bonded during lunch. 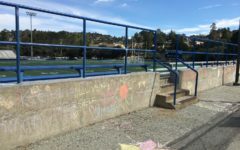 Towards the end of the week, a chalk mural was drawn for students to take pictures with. These small but impactful activities were all possible because of a group of girls from the leadership class. A student who witnessed the works of the event reacted positively. “I have seen the sticky notes on the lockers, and I think they are very cool. 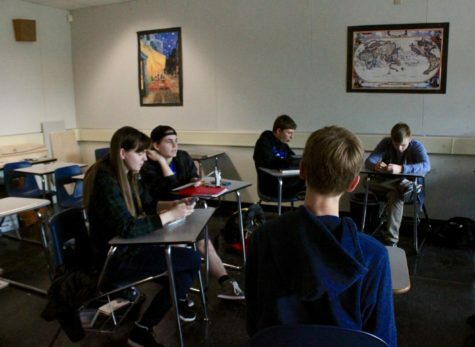 I really appreciate the time and effort it took to put them up,” said Emma Weitz, a sophomore. Although ASB runs the majority of school activities, the freshman leadership class are now stepping in. Jim Kelly, the ASB advisor, assigns a project to his leadership students every year. 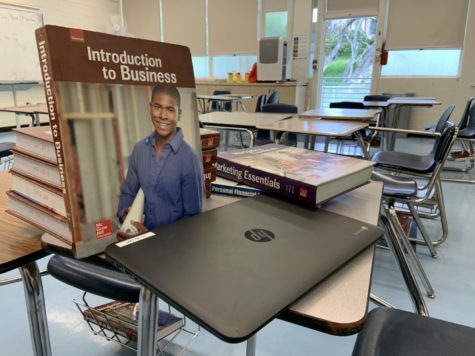 This assignment gives his students an opportunity to incorporate all the lessons they’ve learned in the past school year into real-life activities. Before the week had swung into action, the group of girls in charge was excited and eager for what was to come. “I am looking forward to seeing people’s reactions to all the sticky notes that we put on the lockers. It took a really long time, but it was worth it in the end,” said Emma Elliot, a freshman in the group. 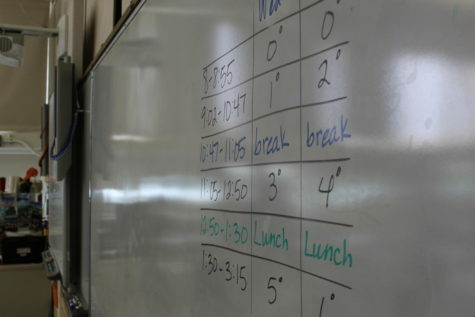 The freshman team started planning around late January and early February. They weren’t able to choose their group members, which was proven to be difficult initially but beneficial later on. “In the beginning, it was sometimes hard for us to work as a whole group. 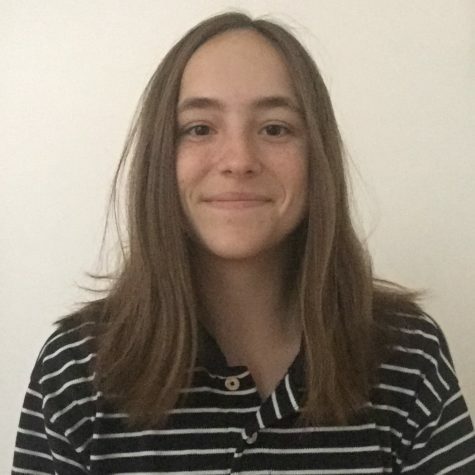 However, this changed as we got to work with each other over a long time,” said Sadie Boynton, another freshman in the leadership class. In the early stages of preparation, they had to determine how they wanted to publicize their event. Many methods were utilized to spread the word about Kindness Week. “We stuck with more visual publicity by making large posters and smaller ones with comments to rip off. We also have a social media account to publicize our event, and we have a message on Canvas. 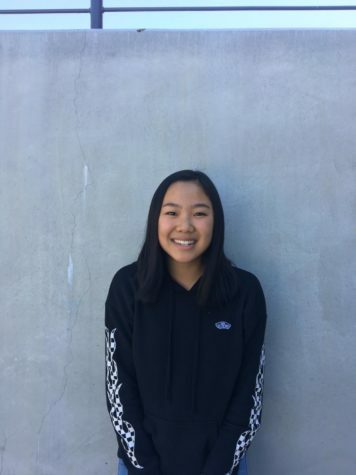 We talked to Kelly to have the announcements talk about our event,” said Elly Xu, a freshman that helped plan the event. Throughout their weeks of vigorous planning, Kelly had helped and guided the leadership students. “Kelly has definitely helped a lot, as he was the person who taught us all the skills we needed to make Kindness Week work out. 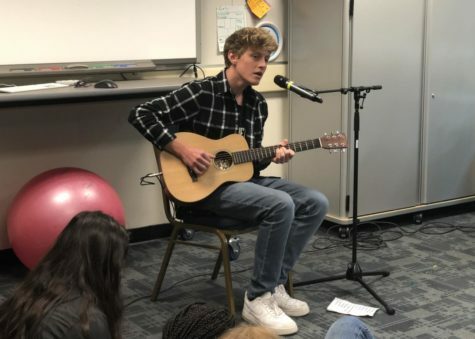 He had to lead us in the right direction without telling us exactly what to do, which has very much helped us learn how to succeed on our own,” Aarons said. With the knowledge of group dynamics from prior lessons, the girls organized themselves quickly and assigned roles to establish structure. “We split our group into three segments, one to plan friendship bracelets, one to plan the chalk mural, and one to plan the sticky notes. The process has been incredibly smooth, as our group works very well together, and we all truly care about the success of the project,” Aarons said. But as for any event preparation, there were destined to be obstacles in the way. “One challenge was the possibility of rain. 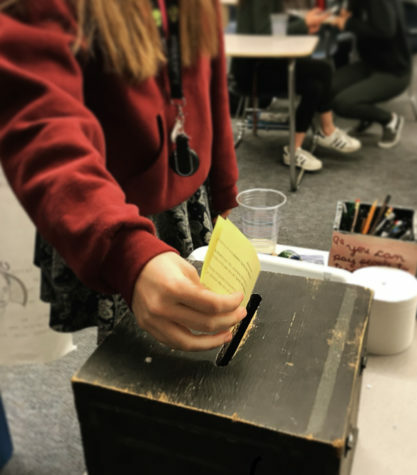 We also had to make sure the post-it notes would stay stuck on the lockers over the weekend since we were going to put them up the Friday before the activity,” said Allison Raisner, a freshman in the leadership class. Not only were there problems in logistics, but the group also had a tough time settling on decisions and finalizing ideas. 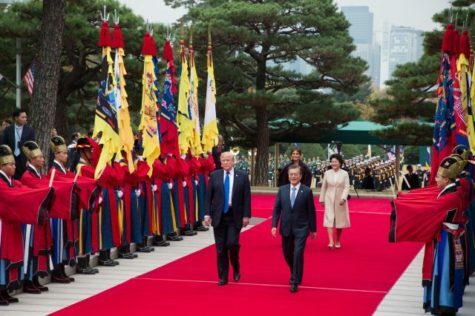 “The main [problem in communication] was disagreeing to what the other wanted, which always lead to long debates and unsuccessful votes in the beginning,” Xu said. Despite the challenges the freshman girls faced, they persevered and continued to work hard towards success. Furthermore, the girls believed that applying a few of the leadership lessons from class helped them smooth out the process. “The biggest lesson I was able to apply from my leadership class was personality styles. 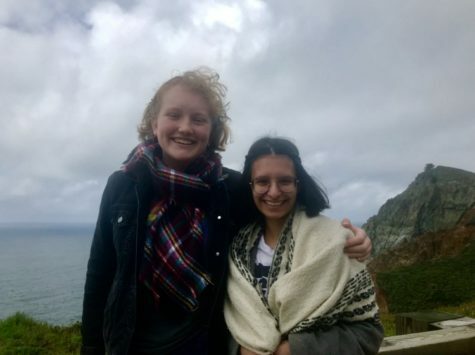 Being able to take into account all of our different personality styles and try my best to adapt to the specific needs of each personality styles was important for our group. 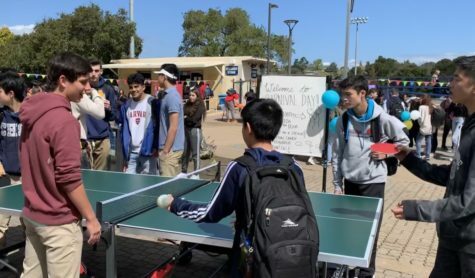 A lot of us are pretty forceful, and sometimes we forgot to take into account that the less forceful students usually have the best ideas,” said Sohie Pal, a freshman in the group. “Leadership helped with the event a lot. 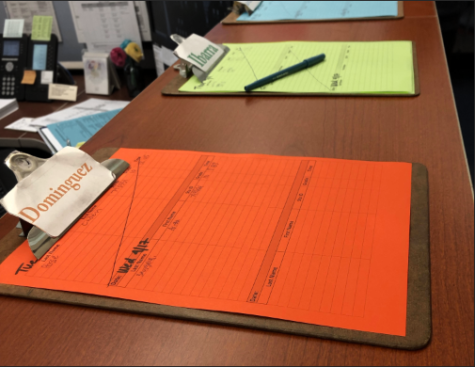 We learned about ‘PROCESS,’ which introduces how to plan an activity as well as using strategies such as backward calendars to plan the event,” Raisner said. Lessons were applied and consequently, lessons were learned. Aarons felt as is if she had gained new skills as a leader after this experience. “One skill I’ve gained is probably learning how to put on a successful event. 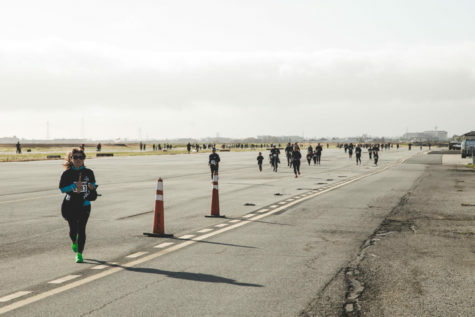 We knew it would be a lot of work to make it go well, but I think we now really know just how much time and effort it takes to do so,” Aarons said. As the week came to end, the girls had time to reflect on what they have achieved. In regards to the amount of participation, Elliot’s personal expectations were met. 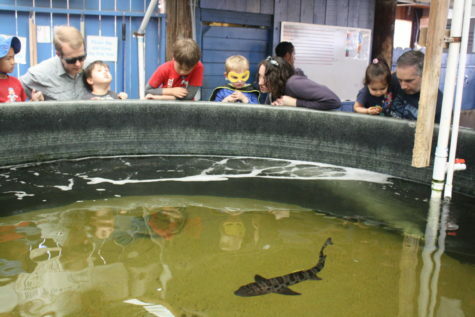 “I was really happy because over 30 people showed up for our activities on Tuesday and Wednesday. 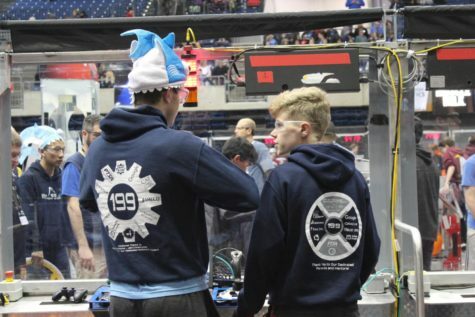 I think that our group exceeded the expectations because a lot more people are talking about it now that we used social media to help get the word around,” Elliot said. Overall, the event was a success, but Aarons thought some parts could have been changed. 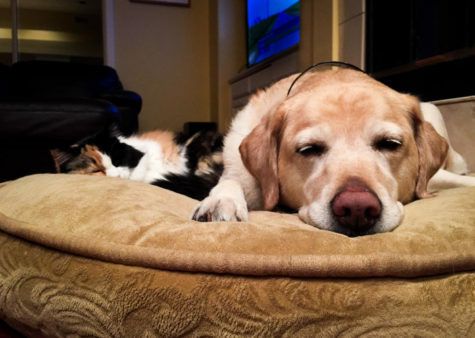 “I think the only thing we could have done a bit better was to increase the supplies. 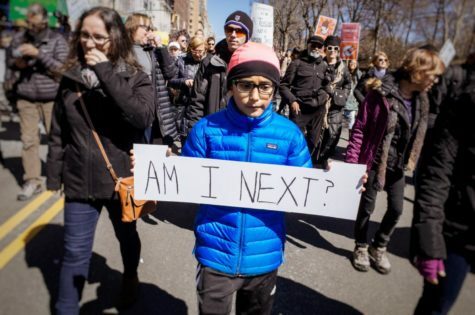 Everyone loved making bracelets, but it seemed to be a bit less fun after the first day or two when all the good string and beads were gone,” Aarons said. 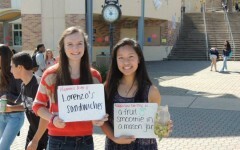 Kindness Week and its message had a ripple effect across campus. According to Pal, the event affected her Spanish class. “On Tuesday, my Spanish teacher, baked us cookies to spread Kindness Week around. She told us she would give us cookies in exchange for a promise to do something kind to someone around us this week. I thought it was super sweet that she made us cookies and that she helped spread and support Kindness Week in her classroom, ” Pal said. Likewise, the week full of activities seemed to have a positive impact on the student body. The bracelet booth in the quad attracts a crowd.